Complete with standard 1.30-2.36:1 lense. This best-in-class projector is designed and built to meet the exacting requirements of large venue installation. 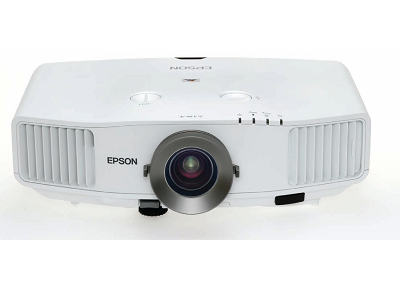 Designed for large education and corporate venues, and specialist vertical markets, the projector has an equally high White and Colour Light Output (CLO) thanks to Epson’s 3LCD technology. This means presentations have vivid yet natural colours even in full daylight. EasyMP Network & Control: Monitor the status of your projector, email the administrator and set up alerts, so the projector emails the administrator in case of any issues. You can also broadcast a message to the network with the included EasyMP Network Projection software. The projector’s WUXGA format allows presenters to show a 16:10 widescreen image with image quality that exceeds Full HD resolution. Its 1080/24fps processing is ideal for projecting smoother, more fluid images when playing a film, creating up to 60 frames per second in 3-2 pulldown mode and 48 frames per second in more filmic 2-2 pulldown mode. Product durability is assured and TCO kept to a minimum with the addition of the long-life C²Fine Inorganic LCD panel. And for low maintenance, the electrostatic filter can be cleaned or changed quickly. Five optional lenses are available, allowing you to create the perfect projector to suit particular venues and different types of multimedia content.